It’s been a long time since I’ve sunk my teeth into a good history book, and as it turns out, Rising ’44 – which I’m just over halfway through reading – is one of the saddest, most fascinating, most inspiring and most disturbing that I’ve ever read. 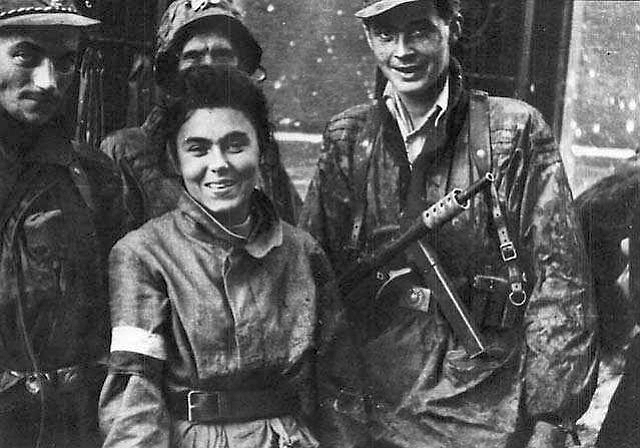 I’ve already covered the story of the Warsaw Uprising here, so don’t want to use this entry to revisit the history and politics of it. What’s driven me to write this is, quite simply, how damn lucky we are today. It’s a theme commonly served up at military commemorations – in Australia on Anzac Day, for example, we’re always reminded how grateful we should be to the Diggers for the freedom that we enjoy today. The problem is, even a reasonably ‘historically conscious’ person like me tends to find the media’s predictable Anzac Day platitudes a tad tiresome year after year, and unfortunately – but almost unavoidably – you tune out to the rhetoric, ceasing to reflect on the message behind the memorials. Only when you leave the present and go back in time to revisit the hell that people lived through in World War 2, do you gratefully and humbly rush to accept its truth again, tinged with guilt for ever having rolled your eyes at the phrase “Lest We Forget”. Every night I’ve put Rising ’44 down – usually only because my eyes have blurred to the point that I can no longer read – there’s a part of me that does so with a tangible feeling of relief – relief in knowing that there will not be a Gestapo or NKVD agent bursting through my door; that I will not be kept up all night by the roar of burning and collapsing buildings; that I will not have to leap over barricades into torrents of gunfire at the freezing crack of dawn the next day. Above all – and this is perhaps the most important yet most easily forgotten point – I have ready access to food, water and medical care whenever I need it. 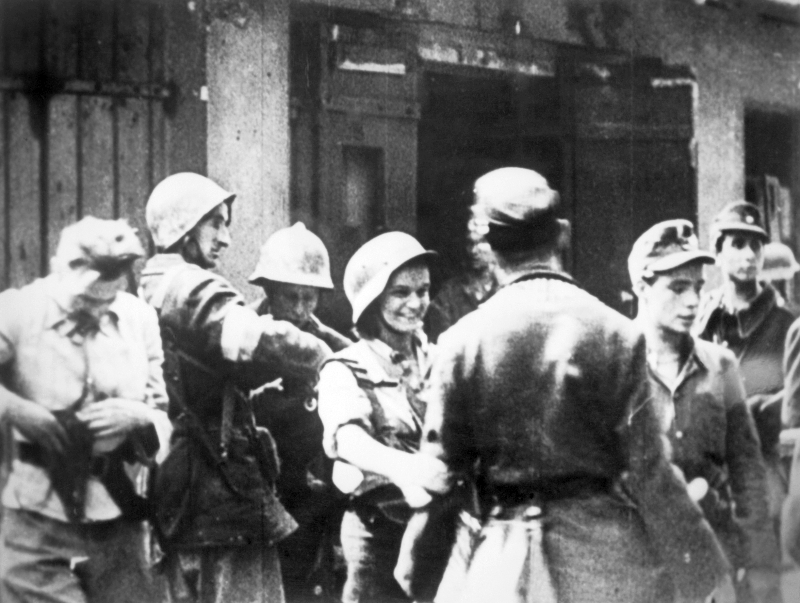 The passage above is typical of civilian recollections of Warsaw, 1944. Today, we whinge about food that’s high in saturated fat, isn’t produced organically or costs a few dollars more than we’d like. 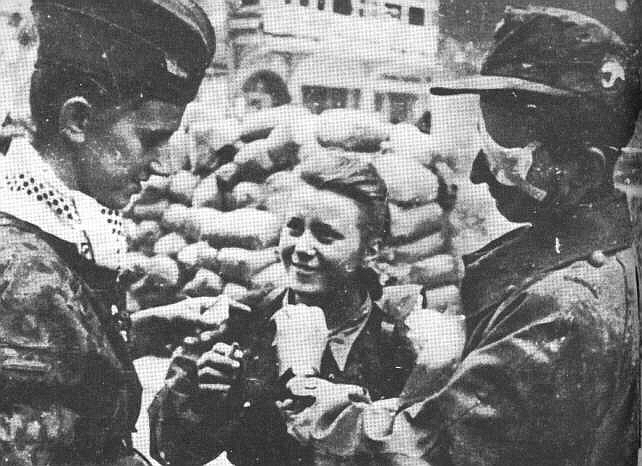 During the Warsaw Uprising, people eked out a living by tearing flesh off dead horses and boiling water from puddles over candles. A loaf of bread was a prized treasure, worth its weight in gold. 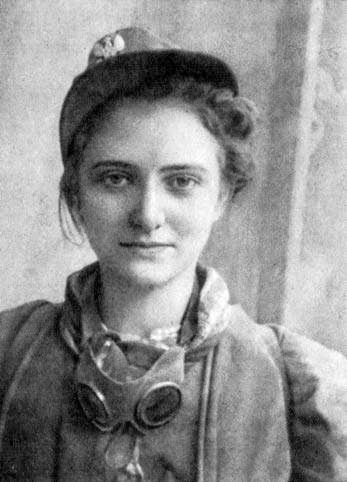 Today, we complain when we have to wait at the doctors’ clinic for quarter of an hour… in wartime Warsaw, the feverishly sick and wounded had to anguish for hours if not days before being attended to by medical staff, who operated with the barest essentials while mortar shells and bullets tore up the street outside. During the Uprising, the Poles marked these hopelessly overcrowded facilities with giant red crosses, in the hope enemy combatants would have the decency to leave them alone and let the doctors and nurses carry on with their work. As usual, they gave their adversaries too much credit – the Germans targeted the red crosses specifically, dive-bombing the hospitals from the air and often finishing off with flame-throwers, grenades and bayonets what the Stukas failed to kill and destroy. Earlier this month, the evening news was dominated by flashbacks to the events of September 11 a decade ago, universally regarded as a tragedy of monumental proportions with its 3,000 people dead – and rightly so. 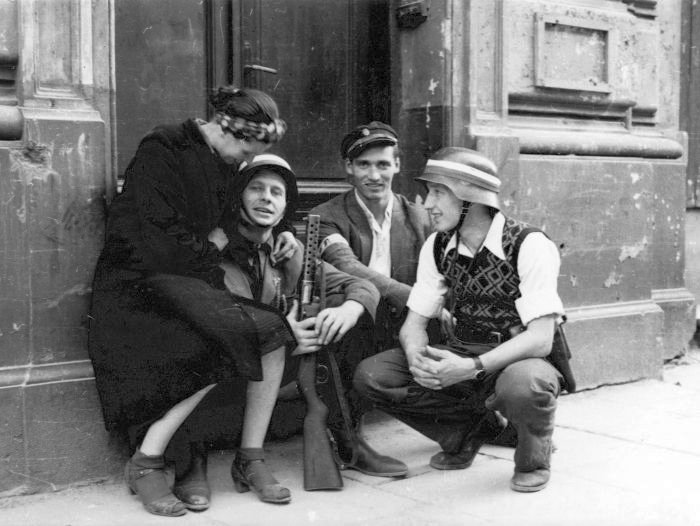 Yet on a single day in a single district in Warsaw (Wola, 5 August), 40,000 people were ruthlessly massacred by the SS and Ukrainian/Russian collaborators. 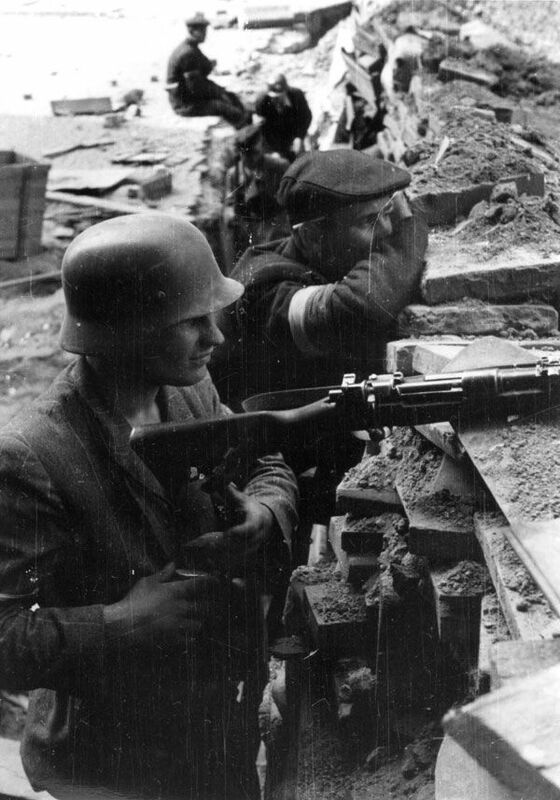 Nobody outside of Warsaw even knew, and it was just one of many blood-soaked days in the month of August 1944. 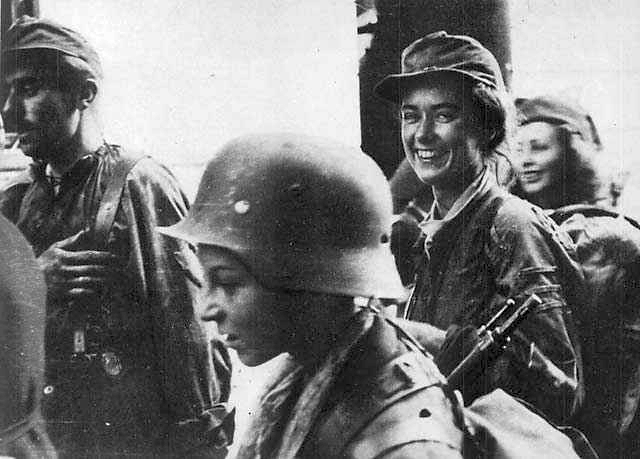 In spite of bearing witness to horrors that would send most of us into days of shock and months of counselling, the insurgents of Warsaw did not mope around and wallow in self-pity. What struck me when I got the photo gallery section of the book – having just read about the brutality, indignations and deprivations suffered by the Varsovians – is how completely normal they look in spite of their circumstances. 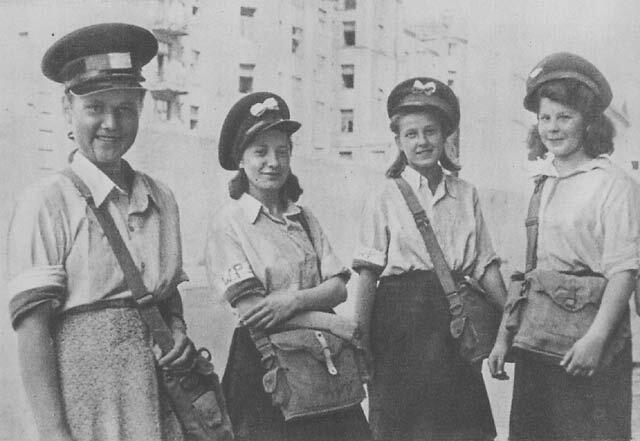 Teenage girl scouts, who risked their lives every day crawling through filthy, claustrophobic sewers to relay messages, smile cheerfully for the camera. 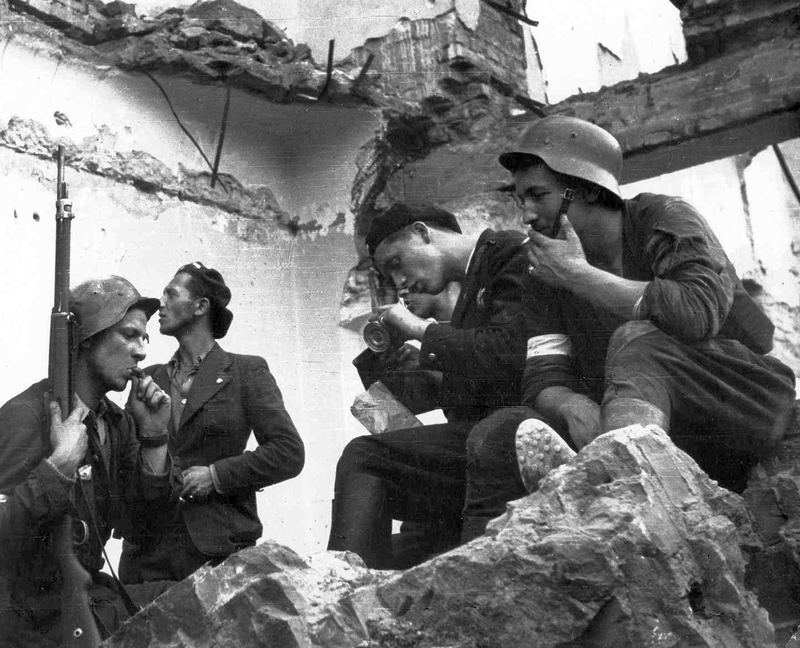 Young men wearing red-and-white armbands, though gaunt from lack of food and sometimes bandaged from wounds, calmly sit back, converse and share cigarettes in between skirmishes with SS battalions armed to the teeth. At worst, the Home Army and their helpers look only tense or sombre, crouched behind barricades or street corners; no-one looks miserable. It’s one of the most inspiring facets of the book. We then returned to my parents, who were sharing an apartment very close to the Ghetto where famine was raging. Every day, two tiny starving urchins would visit our house to receive a bowl of hot soup and a bit of food. One day I saw something that has been burned into my memory. Walking across the square, I saw two Gestapo agents standing over a couple of emaciated boys who could hardly stand up on their little legs. One of the agents grabbed the first by the ankles and smashed his head against the wall. Then he grabbed the other and did the same. That event affected my later life very deeply… From then on, our two urchins did not visit us. I had to put the book down and call it a night at that point. 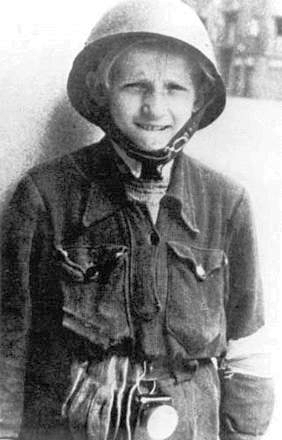 It’s genuinely heartbreaking to consider for even a second the sad, short and suffering-filled lives of those two innocent, probably parentless Ghetto children – and the pure evil of that Gestapo agent. I was reminded of a similarly shocking scene in Roman Polanski’s The Pianist, where a Nazi guard kicks a Jewish youngster to death for clambering out from under the Ghetto wall. What’s disturbing is that there were hundreds of these agents in wartime Europe – cramming unarmed civilians into cellars and setting them ablaze, burying prisoners alive in dirt pits. Fictitious World War 1 propaganda of priests being crucified to barn doors became gruesome reality in World War 2, courtesy of rabid Ukrainian nationalists. Without a doubt many of these perpetrators are still alive today – vicious thugs too low-ranking and obscure to be identified and brought to justice after the war. Yet this behaviour is hardly unique to the WW2 generation – the war merely turned Europe into fertile ground for these weeds to prosper and strangle the delicate flowerbed of civilization. 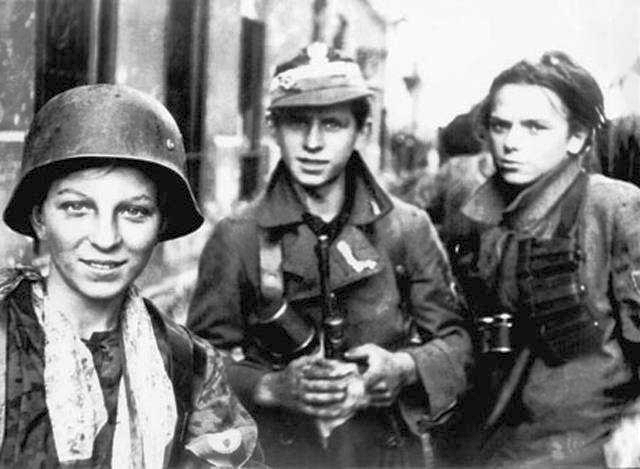 I hate to sound pessimistic about humanity but I’d say in every generation, there lie dormant three basic categories of people – 1) the indifferent; 2) those like the soldier’s wife, who no doubt risked her life giving food to the two “urchins” (helping Jews was a capital offence in Poland); and 3) those like the Gestapo agent, only too willing to maim and kill on whatever flimsy justification they can devise. In everyday life, the latter types are more or less indiscernable from the majority who’d mind their own business regardless, but at times when law and order breaks down, they respectively shine in their humanity or degenerate into monsters. We see it today in places like Africa, where wartime conditions still rage, or in those brainwashed by the similar ‘might is right’ ideology of fundamentalist Islam, who think nothing of bashing, stoning and burying alive their own daughters because of some perceived ‘insult’ committed against the family. Whether it’s to gain the Fuhrer’s, Allah’s or some other higher authority’s favour, there are many only too willing to carry out great evil in the name of some perceived “greater good”. Fulfilling the commandment conveniently justifies the means. Do your superiors accept our proposal? Alright, tomorrow at 3pm, all on the list must be freed. And the car? We’ll release the prisoners when we have the car. On my word as a German officer. You release the prisoners…and after three days, we tell you where the car is. The word of a Polish officer. The exchange took place as agreed. While I promised myself I wouldn’t go into the geopolitical aspects of the Uprising, the book does go into unprecedented detail to shatter the Good United Allies vs Bad Nazis picturebook version of history, more than anything I’ve read before. For all of the Germans’ much-publicized barbarity (and there’s no shortage of it in Rising ’44 either), there are moments that go some way to restoring your faith in humanity, such as the recollection by an insurgent (disguised as a civilian) of a Wehrmacht soldier eagerly obliging his request for a shave, apologizing profusely for the slightest cut made by his dull blade. 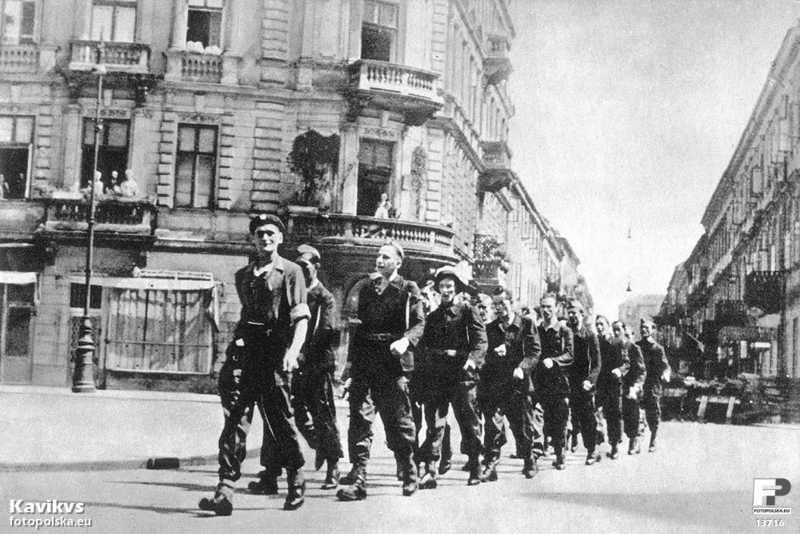 At the very same time, Poland’s ‘allies’ the Soviets kept themselves busy by rounding up and arresting everyone with red-and-white armbands as “fascists” and “bandits”, even having the gall to fire at RAF planes attempting to drop supplies over the burning capital (all the way from Italy, since Stalin would not permit Soviet airfields to be used to assist the Poles). Ukrainian collaborators crop up regularly as perpetrators, alongside the SS, of some of the most horrific atrocities against civilians. 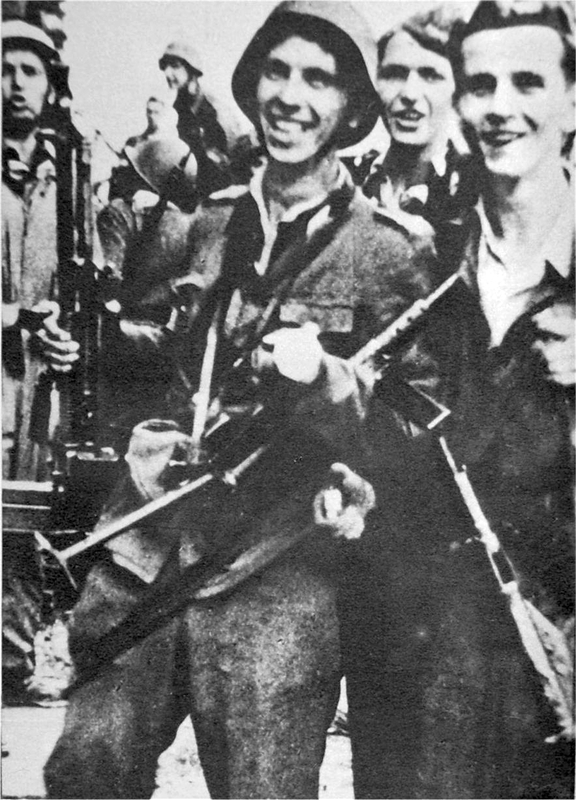 On the other hand, Hungary – officially an Axis combatant, but historically Poland’s friendly neighbour – quietly issued a statement to its soldiers not to fight the insurgents. 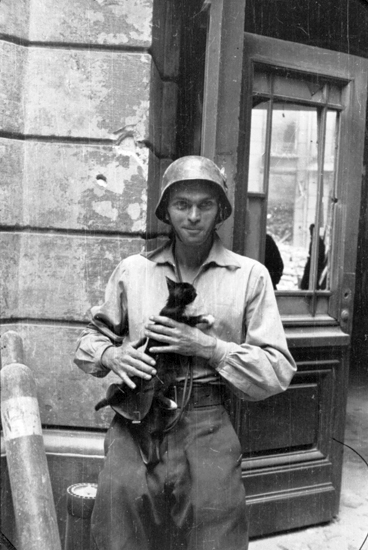 A Slovak who found himself in Warsaw as part of the Nazis’ reinforcements even yelled from the darkness across no-man’s-land, “Long live Poland!” Sandwiched from the east and west by massive and hostile forces, it is heartening to know that the Polish Home Army did not stand completely alone, and that just as its ‘allies’ were anything but allies, not all of its ‘enemies’ were enemies. 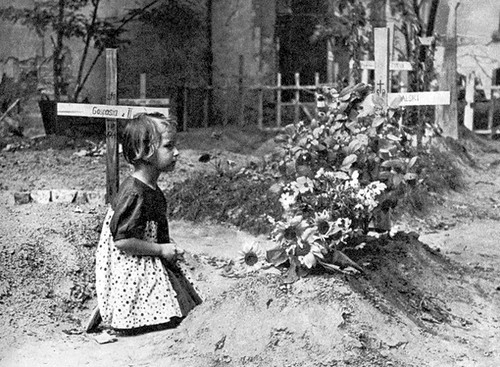 World War 2 will always be one of the saddest and most damning chapters of European history – and possibly nowhere is this more concentrated or evident than in the Polish theatre, which bore witness to not only the Warsaw Uprising but the Ghetto Uprising, the Katyn massacre and, most notoriously, Auschwitz-Birkenau and related death camps. The entire Eastern Front of World War 2 serves as an almost unbelievable and seemingly endless montage of how cruel man can be to man, when he foregoes his humanity in favour of blind adherence to an ideology or “orders from above”. It is incredible, for example, to read about the little-known but exceedingly grisly massacres of Polish villagers by the Ukrainian Insurgent Army (and subsequent anti-Ukrainian retaliations by the AK), then remember the final line from the 17th-century epic With Fire and Sword, set in a time of war between the Polish Commonwealth and its Ukrainian borderlands: “Hatred poisoned the hearts of two brother nations.” Fast-forward 400 years and this line rings as true as ever; a sad example of history needlessly repeating itself. Yet contemporary multicultural Australia – a world away from the divisive festering grievances of the Old World – serves as a testament that camaraderie is the natural state between Europeans. A middle-aged key-cutter I went to recently, overhearing that I was talking in Polish on my mobile, jovially spoke to me in accented Polish as he handed me back the key. He was a Ukrainian from Lwow (now L’viv), and while his parents may well have been mortal enemies of my Polish grandparents who also lived in that city, today, free of the hatred fostered by hypernationalism (and happily encouraged during WW2 by the Nazis, who thrived in driving wedges between the nationalities they occupied), we were simply fellow Slavs, our ancestral home being common ground rather than ground to fight over. Said: “I do not surrender.” Let the houses burn! So what, if a graveyard grows from my dreams? That some things are dearer than the finest city wall. A few percent of any human population (more than twice as large a percentage for males than females) fall into the category called psychopathic, sociopathic, Antisocial personality disorder, or equivalent label. In circumstances like war…people in this group rise rapidly to positions of power and influence. They aren’t really bothered by the sorts of things that traumatize the other 95%. They more or less lack empathy and have no conscience. They can kick a child to death and calmly sit down for lunch and never have trouble sleeping. Most people can become desensitized to violence and cruelty but a few percent of people come without any sensitivity to it from the beginning and they have a major advantage under conditions that favor horrors. In absolute numbers a few percent of the population is a lot of potential instant monsters. Under civilized peaceful conditions few of them are murderers. They aren’t stupid. They’re there though, available should the circumstances favor their special ‘talents’.